First however, the Honourable Mentions: Lewisham, North Greenwich & Peckham Rye - you were so close, yet so far. Shock, horror, hold the front page - Forest Hill has made the top 10. How? How on earth some of you might be asking? Well, as we said in the introduction - beauty isn't everything. Forest Hill is a ruddy useful station, and that is reflected in the number of people that use it every year, as it it is the 90th most used station in the country. It's more used than Brockley, Honor Oak Park and Sydenham, and yet does nothing that those stations doesn't. Does that reflect Forest Hill's status a popular area to live now? Probably. However, there is nothing particularly remarkable in terms of it as a station, the current structure is very non-descript and forgettable. This wasn't always the case though. Back when Forest Hill was opened in 1839, it was called Dartmouth Arms (the name of a local inn), and only became Forest Hill 1845. For about 100 years it was a very handsome station, as shown in the final image, however these buildings were destroyed during the Second World War. If you're like us, then you wouldn't have expected Penge East to make this list, but it did. We can't complain - we put it on the shortlist, we deemed it attractive enough to warrant inclusion. Penge East is easily the least used station on this list, sitting all way the down in 352nd, largely due to the fact that it usually only provides one service. How has it made this list then? Well, we would say the quaint, classic charm of the building itself, the old-style roofs over the platform, and the cat who guards the card reader called Oyster. Having opened in 1863, Penge East has not seen a huge amount of change during its lifetime, and is a rather handsome, if surprising, inclusion on this list. Okay, let's just get the facts out first - Clapham Junction was the 9th most used station in the country between 15/16 in terms of entrances and exits, easily the most used station in the county in terms of interchanges, and its not in Clapham. 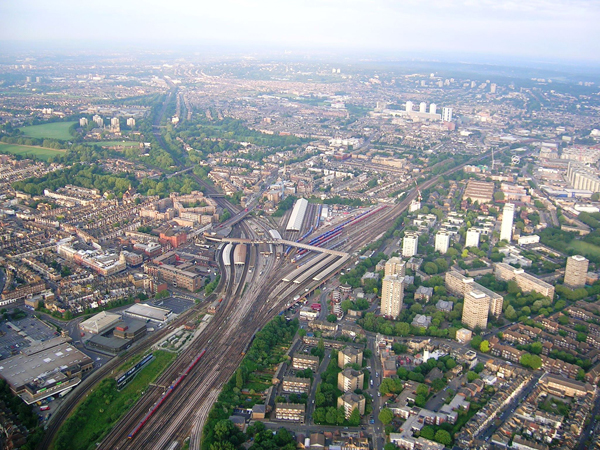 Clapham Junction is in Battersea, but was called Clapham Junction when it was opened in 1863 because, at that time, Battersea was an industrial area while Clapham was a fashionable area. 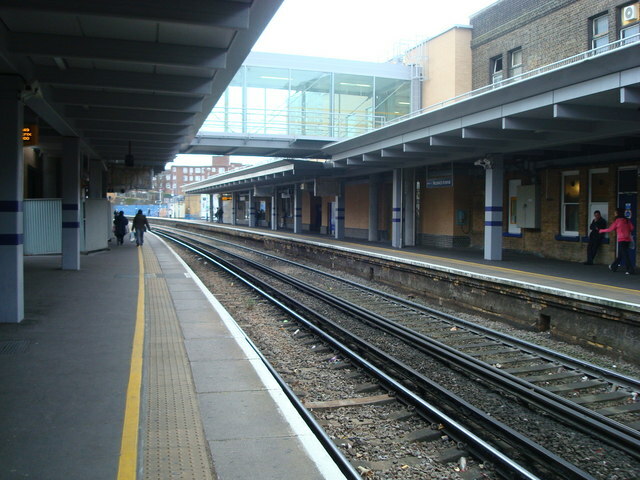 Clapham Junction has 17 platforms, and connects 21 different services, which will become 22 if Crossrail 2 is completed. Despite not being the most obviously attractive station, the recently refurbished station building is rather attractive, and there is something rather awe-inspiring about the sheer quantity of traction that passes through the station. This list really wouldn't have been justifiable if London Bridge hadn't made it. Providing a linking connection and terminus for almost all of the services to and from South East London, and then also linking those with both the Jubliee and Northern lines on the London Underground, it's hardly surprising that it was the 4th most used railway station in the country last year. Since London Bridge began its most recent redevelopment, it has not been quite as useful as it once was, but is slowly returning to normal service. However, it should be said the redevelopment itself is rather striking, and has utterly transformed the station, which is barely recognisable from what it used to be, both from the inside and the out. 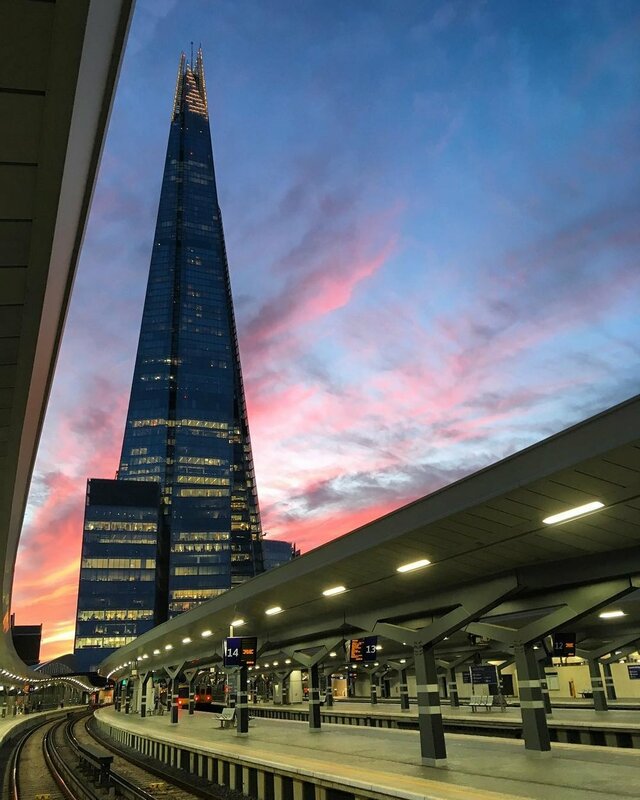 Opened back in 1836, as the rail coverage of South and South East London has grown, so has London Bridge station, and now can be spotted from all over South London since The Shard was constructed in 2012. The highest of the 'big three' on this list, Waterloo is the 3rd most used rail station in terms of interchanges, and both most used rail and tube station in terms of entrances and exits in the entire country. It's so used because it is very central and serves the South Bank, and it also connects 13 different railway services with 4 different tube lines therefore is both used as a destination and a connection. So we've established that it is an undoubtedly useful station. However, beyond that, we would argue that there is something staggeringly romantic and beautiful about the the size of Waterloo. Opened in 1848, curiously, Waterloo Station was not directly named after the great victory won by Wellington in 1815, it was named after Waterloo Bridge (due to its proximity), which had been named after the victory. The station building has been redeveloped considerably since then, and now includes features like the Victory Arch (pictured) which was designed by James Rob Scott to commemorate staff of the London and South Western Railway who died during the First World War. Greenwich station only serves one National Rail line, apart from the DLR service it also provides, however that one rail line is rather old. The London and Greenwich Railway was opened in 1838, and the rather attractive Greenwich station building, designed by George Smith - who also designed Blackheath Railway Station - was opened in 1840. This means it is 177 years old, and one of the oldest station buildings in the world. A terminus station for much of its life, the line it serves was extended beyond it towards Maze Hill in 1878. Though not as used as other stations on this list, the stately granduer of the station building makes it very pleasing on the eye, and a worthy addition to this list. There will be certainly some of you that are going to be shocked by the fact that Hither Green made it into this list, let alone this high. 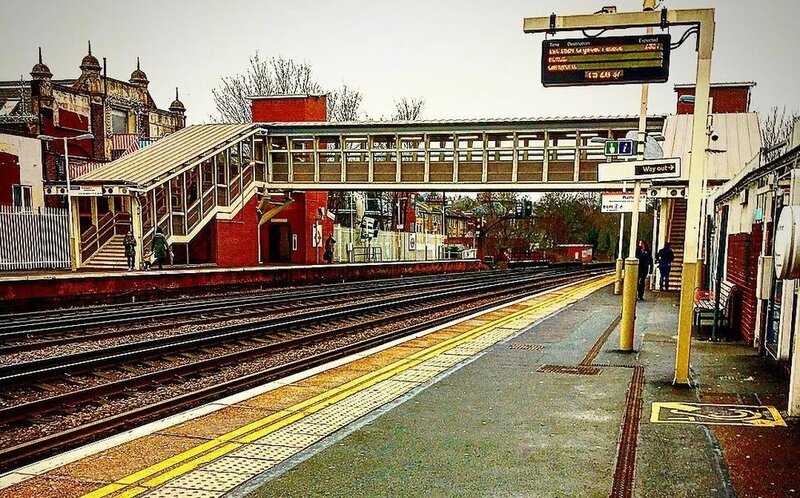 There was no other station included on the shortlist that received more criticism than Hither Green, largely because of its lack of lifts and steep slopes, which make it a very inaccessible station for the disabled, pensioners and those with prams. Nor is the station particularly attractive if we're going to be brutally honest. However, with all this in mind, it cannot be denied, and it is clearly shown by this result, that for those living in South East London, Hither Green is a regarded as a very useful station. Sitting on a junction which means that there are plenty of different options, and it is little surprise that Hither Green sits 55th in the country in terms of interchanges. Some would argue that there is nothing that you can do at Hither Green that you can't do at Lewisham, and this is true, but boy are those fast trains to London Bridge in the morning useful. As its position on this list shows, Denmark Hill is a very popular station - and with good reason. With a pub and cafe occupying the old ticket hall, its particularly attractive footbridges, and exceptional amounts of greenery around the station, it is easy to see why it is so popular. 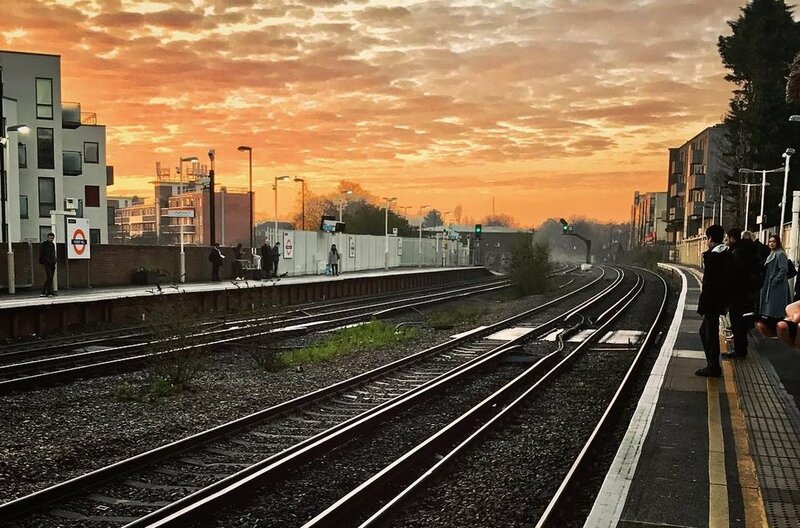 Denmark Hill isn't just a pretty face though, and between 2015-16 it was the 66th most used railway station in the UK, as it connects the Thameslink service with the London Overground, and Southeastern services running from Victoria. Built in 1865, it is designed in the Italiante style, but largely due to the refurbishment it underwent in 2011-2013, it is now accessible to all and everyone, with ramps and lifts serving all the platforms. In the end, this was barely a competition for the top spot. Crystal Palace won by an absolute country mile, second didn't even have half the votes, and the original list included outdated images of the station! Crystal Palace is an achievement of both beauty and practicality, after all, just look at it, since being refurbished extensively since 2002, Crystal Palace is easily one of the most attractive stations in all of London, both inside and out. With its Victorian station building, and its new glass roof, the station looks as a station should, and does what a station should too - according to 15-16 estimates, Crystal Palace was inside the top 150 used stations in the UK. Having been opened in 1854 to serve the recently moved Crystal Palace, the burning down of which in 1936 badly affected usage, the station has gone through a major resurgence since becoming a terminus of the East London Line (part of the London Overground) in 2010. It now connects Southern train services (when they run) from London Bridge and London Victoria with London Overground services.